Sensitive skin is a common complaint. If you have the type of skin that flares up into a red, angry rash at the first signs of a new product; or skin that breaks out in a rash when you borrow your friend’s top-shelf moisturiser, you’ll know what we mean. If you regularly experience tingling, burning or itching, yet you don’t suffer from a specific skin condition, you’re probably one of the many consumers living with sensitive – or sensitised – skin. One of the most common questions we get asked is, ‘what’s the best moisturiser for sensitive skin?’ So, to the thousands of women experiencing sensitive skin; keep reading to find out to overcome the often-painful, sometimes-embarrassing and always-inconvenient skin complaint. And here’s the first clue: The answer lies in stepping AWAY from the moisturiser. Sensitive skin is different to a skin condition. Skin conditions include eczema, psoriasis, dermatitis and vitiligo. Skin conditions may be genetic, a response to food intolerances, or an autoimmune condition. Skin conditions are treated more like an illness. You may be born with a skin condition, or it may develop over time. A skin condition will possibly respond to medication. Skin sensitivity is much harder to pinpoint than a specific skin condition, so it’s, therefore, harder to cure and prevent. Sensitive skin may develop as a response to environmental conditions such as harsh sunshine or bitterly cold wind. Exposure to specific products may cause skin sensitivity that displays itself in the form of pimples or a rash. Or that niggling tingling sensation may just be something that happens occasionally, and you’re never sure how or when it’s going to crop up and ruin the day. The sensitivity of your skin is often a vicious cycle. When skin is angry and inflamed, it dries and cracks making the skin lose moisture. The lack of hydration then leads to it becoming even drier and more cracked making the problem more painful and unsightly than before. Often, as consumers, we spend our time looking for products targeted towards sensitive skin. We go for the most obvious solution of the ‘anti-sensitive’ product, the one that’s ‘suitable for sensitive skin’, mistakenly believing that this is the one that will keep our skin calm. Now, there’s nothing wrong with that. It’s common sense. But if you use any products that contain synthetics or occlusive ingredients (those that block rather than clear pores), you’ll end up adding to the problem rather than fixing it. And, just to clarify one more time; cleansers, moisturisers and face masks designed for sensitive skin DO contain synthetics. Every last one of them. For confirmation of what’s in your ‘sensitive skin’ product, look at the ingredients list on the packaging. This allows us to conclude that the very products claiming to cure sensitive skin, are the products that are causing the problem in the first place. Dealing with sensitised skin is a two-pronged approach that involves getting off the merry-go-round of applying more chemicals and harmful synthetics to your skin. Firstly, you need to repair the barrier function before infusing your cells with antioxidants to help strengthen and stop the sensitivity cycle. Exfoliate the dead skin cells without causing further irritation. Avoid using synthetic exfoliants on raw skin as it will speed up the hydration loss, making it even drier. Instead, choose a fruit enzyme exfoliation like Biologi’s Bd serum. It’s a soft and gentle serum, plus it’s water-based which allows for better penetration and hydration. Penetrate the deeper layers of the skin with a serum that’s packed with antioxidants to get to work on hydrating skin cells long before they reach the surface. Choose a product that doesn’t contain synthetic ingredients, so you can be confident it won’t irritate your sensitised skin and will help it repair. Why are antioxidants so good for sensitised skin? Antioxidants protect the skin by limiting the production of free radicals (the ones that fight the good skin cells). They boast high anti-inflammatory properties which help improve the health of your skin and reduce your sensitivities. Without confirmation from your dermatologist, it’s almost conclusive that sensitive skin will react to synthetic ingredients, fillers, and preservatives. These are harsh chemicals that will inflame delicate skin cells, and prolonged use will potentially cause sensitivity in healthy skin cells. Using glycolic acid, lactic acid, salicylic and synthetic AHAs and BHAs is like exfoliating on raw skin. They speed up the hydration loss making your skin even drier and more susceptible to cracking and sensitivity. Until your skin repairs, avoid the following acids: Benzyl alcohol, polyaminopropyl biguanide, naticide and phenyl ethyl alcohol. These are the preservatives used when a brand says no parabens (no parabens doesn’t mean no preservatives!). These are all synthetic ingredients which have the potential to cause skin sensitisation. In the EU and other parts of the world, these ingredients are restricted or banned due to carcinogenic activity. Even some of our favourite ‘natural’ fragrances are known skin irritants. Take citrus oils for example. They’re found in a lot of essential oil blends but contain the known skin irritant limonene at percentages of over 90%. The same applies to lavender oil. The everyday fragrance contains the recognised skin irritants linalool and linalyl acetate at percentages of over 60%. Just because a fragrance is natural, it doesn’t mean it won’t irritate your skin, especially if it’s already sensitive. Some household products (for example Sorbelene and Vaseline), create a layer of oil on the surface of the skin to ‘trap’ water beneath it. In doing so, they also trap the synthetic ingredients from your ‘sensitive skin’ products giving them further chance to irritate your cells. While they may provide short-term relief, they also contribute to the long-term nature of the problem as they start to impact healthy cells within your skin’s deeper layers. Products may state ‘naturally-derived’ but ingredients like lanolin and fatty alcohols (Cetearyl and cetyl) contained in these products may be doing more harm than good. Will Biologi help sensitised skin? Unless your skin is infected (only antibiotics can cure an infection), Biologi will help cure and prevent sensitive skin. Biologi is free from all additives, chemicals, fillers and preservatives. All our serums are produced using a unique extraction method which replicates the plant’s cellular matrix to provide a serum that’s 100% natural and 100% active…all the way from the plant to your bottle. Our products don’t have an ingredients list because they’re made from one natural ingredient. 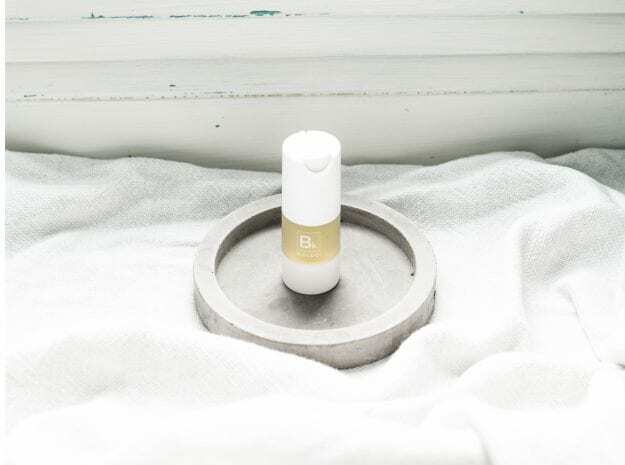 If you’re looking for the best moisturiser for sensitive skin, why not try Biologi Bd serum instead? Biologi serums contain the nutrients to combat sensitive skin, without the chemicals.